In the old days, films were passive. It was about you watching someone else doing stuff. You could relate to some of what the characters were going through, but you couldn’t experience it. When I say the old days, I mean right up until the very recent past. The revolution to active film participation comes in the form of Virtual Reality: films shot in 360 expressly for your Oculus Rift, Cardboard, Samsung, etc. Here’s what it comes down to: you’re in your x-wing fighter, the death star’s guts to your left and your right, tie-fighters buzzing behind you with cannons at the ready. Your ship trembles; the sound of laser cannons is ear-splitting; the mechanical alley in which you’re flying is awfully narrow. And it’s time for you to fire the shot that will bring freedom to the galaxy. That’s what VR content aims to deliver. Maybe you’re out on a meadow. A ballroom in Moscow, 1859. A quarter mile deep in the Pacific Ocean. Inside the mind of Albert Einstein. Whatever the action, you’re in the center of it, and it’s the difference between watching and feeling. 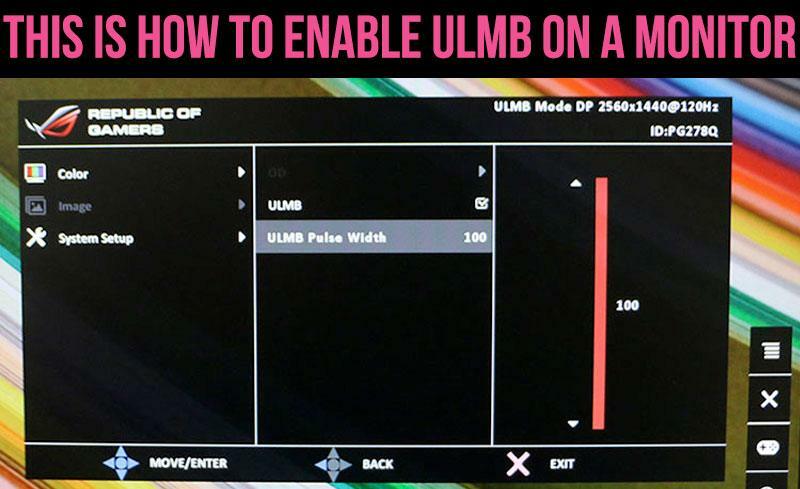 Even if you have the best giant screen or computer monitor supporting ULMB, it won’t come close to the level of immersion that you can get from a virtual reality environment. Will you learn more about the lives of the characters in the films, their culture, their limitations and dilemmas? Or will the experience be predominantly sensory, more of an adrenaline rush? OK, you might be expecting the most cutting-edge, futuristic-sounding dark horse of an upstart. But Youtube is absolutely developing a very serious VR presence. You’d expect nothing less from a company owned by Google, right? 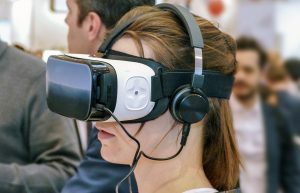 Here are a couple of distinct ways that Youtube is paving the way in VR video. 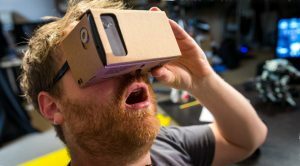 Youtube is set up to allow its users to view content via Google Cardboard or the Youtube app for Android (see below for another platform on the way). At present there are many 360-degree videos on Youtube, labeled as such. These perform just like Google maps or 360 panoramic photos when a regular user is watching them—just use the arrows to twirl around the scene in its totality. World Tour – Walk up to craggy rocks, peer out the window of an ascending tram, and stand on a wooden pier, watching the clouds drift overhead. This video, shot with the 360, multi-lens camera, Jump, was produced by Jessica Brillhart.It works on the premise that wanting to see sights around the world is tantamount to really feeling like you’re there, rather than being only too aware of where you really are. This video comes complete with the sound of boots crunching on snow to fully immerse you. Resonance – No law states the VR has to be adult-oriented or science-fiction tinged, robot-filled, futuristic. In fact, many producers of original content are moving in a profoundly different direction. Tim Fain’s “Resonance” features the filmmaker playing haunting violin strains while the VR user wanders through sanctuaries, decrepit old structures and farms. It very much as an arthouse movie feel. Gorillas in the Congo – It’s pretty loud in this jungle, with an ever-present fizz of mosquitoes in the background, and the ominous sound of giant gorillas literally breathing down your neck. Director Tom Small makes you one of the tribe in this VR video. In terms of original content, Youtube is aggressively attempting to create more. Not satisfied by just providing access to user-submitted immersive videos, the video portal is also partnering with video camera maker Odyssey to make new videos. In the works is a partnership with the NBA, which should give the user courtside seats in a variety of NBA arenas. It’s not just about the current Youtube. The company is rolling its own custom VR app, Daydream. This app, due out this fall, will involve slipping your phone into your VR headset. It seems positioned to move beyond the capabilities of Cardboard to become the boss app for the Youtube experience. Its homepage teases us with icons from Major League Baseball and HBO, so we’ll just have to stay tuned. 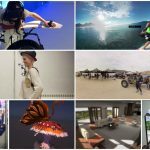 The Wevr website’s name may seem strange at first — hear it in your mind as “we VR.” You might think of Wevr as VR’s budding vimeo, a place for artists to post their creations, in this case, immersive video. Waves – This 10-minute video stars and was co-directed by Reggie Watts, a nearly-indescribable comic vocalist-beat-boxer. It includes garish purples and psychedelic imagery, a can of “Splarf,” and a ride into distant galaxies, all set to Watts’s outrageous music. LOVR – This film, produced by Aaron Bradbury (with some of these artsy, VR “simulations,” the lingo is “producer” rather than “director”), has a truly lovely concept. It aims to simulate 4 seconds of the brainwaves of the “girl of your dreams” when she is looking at you. Crown – This is a music video by the hip-hop group Run the Jewels. It was directed by Peter Martin, who was nominated for an Oscar in 2010 for his documentary Wasteland. Martin is no stranger to VR, having worked on Sports Illustrated’s Swimsuit issue VR film among others.“Crown” largely features its cast of characters arrayed in a 360 panorama, banging their heads and generally freaking out the viewer. Most of the content on Wevr’s Transport is along these lines, short films with very creative premises, the kind of thing you see at Sundance or Cannes. 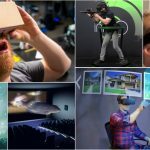 Each video has its own specs in terms of what platforms it runs on, but all of them run on multiple devices, with Oculus Rift, Samsung Gear, and HTC Vive very well represented. The site is new, and the content figures to grow and to become categorized and searchable. Samsung’s Milk VR video portal is a showroom of several vids that emphasize high octane experiences. While many VR films allow you to be immersed in the action going on around you, many of the film clips accessible at Milk are intended to place you as the protagonist. For that reason, the content here places emphasis on sports like volleyball and basketball and skiing. Okapi Basketball, for example, doesn’t quite allow you to play, but it puts you in the point-of-view of a sideline reporter or photographer. You can stand at the entrance to the tunnel when the players are heading to the locker room and get hit in the kneecaps with balls during pre-game warmups. What appears to be one of Milk’s centerpieces in The Conjuring 2, produced by Warner Bros. The movie proper is just now hitting theaters. But you can use your Samsung gear to take a tour of haunted house featured in the film. They recommend you sit in a swiveling chair for 360 degrees of fright. There’s no question that horror can be one of the chief applications for the immersive experience. If you’re going to “be there,” may as well have your heart jump-started. The content works with your headset, but there’s also an android app that serves up 360 content with no headset. Old-school media have to evolve or die, right? Well, give a thousand points to the New York Times, which has its own nytvr VR app for what is called immersive journalism. The app works for both iPhone and Android, works best with Google Cardboard, and helps fulfill a promise that journalism has been pursuing for its entire history. Writers polish their words and photographers deftly frame up photos to try to take you there—what is it like on the border between Syria and Lebanon? How terrifying was it outside the Pulse nightclub the night of the shooting tragedy? The best journalists have always tried to answer questions like these, rather than just reporting news. (Note, these are examples—I am not suggesting that nytvr has content of these events). With your cardboard strapped on, you can immerse yourself in a wide array of environments. One current story takes you high above Manhattan on one of the spires of the world trade center. Another places you on the icy surface of the former planet, Pluto. NYT gives you once-in-a-lifetime viewpoints, sparing nothing to take you into dizzying and enlightening locales. Like Samsung Milk, VRIDEO specializes in action videos, equating VR and immersion with working up a sweat, dodging obstacles, etc. It curates films from many sources, such as 360 Films, The Wall Street Journal, and Blick, to name a few. We’re talking swimming with sharks, barrel-rolling in a plane, looping and diving on a roller coaster, hanging out with bikini babes on a boat. VRIDEO is compatible with Oculus, Samsung Gear, and Steam. It includes a mobile app available at the Apple Store or Google Play and compatible with Google Cardboard. The “Experiences” tab on the Oculus store’s website takes you to many demos and purchasable content. Some of this is gaming material, but much of it is video, too. Lost – This Tim Burton-esque spooky adventure was produced by Oculus Story Studio production and takes you into a navy-blue forest haunted by an enormous robot. At press time, it is free. Invasion – This is a VR animated series, brought to life by Eric Darnell, who wrote and directed The Madagascar movies (to drive this point farther home, VR content is being created by industry heavy hitters). You’d expect nothing but wild creativity from the Madagascar guy, and you get it. This series takes you through an alien invasion of Earth, fended off by bunny rabbits. Henry – Sometimes hedgehogs get too affectionate, and this Elijah Wood-narrated story explores this weird problem. At the time of this post, it is also free, for a limited time. As you can see, Oculus is going the route of box office-smash-type feature films, as a contrast to the artsier flavor of Wevr. 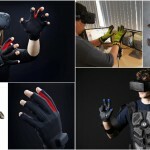 It’s a good idea to keep close tabs on Oculus’s progress, since changes are often underfoot, with new content, and even new sections and features of the website coming and going. Download the Steam app and gain access to several pieces of free Disney content, with more being added frequently. The content requires HTC Vive. Film clips include material from Jungle Book, Captain America, Star Wars. While the content is a bit basic, and not the kind of thing that would end up in the Criterion Collection, if you have a soft spot for Disney content, there you go. And it’s great for kids, of course. 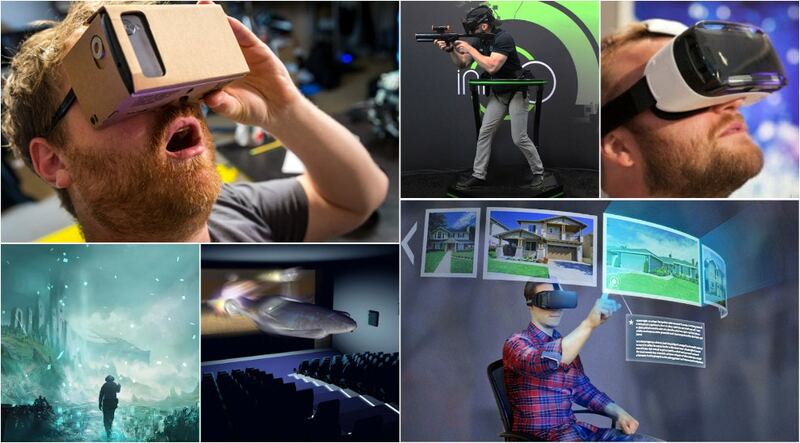 We’ve highlighted the portals where you can expect to see the biggest boatloads of great VR content. But there are just too many interesting individual little gems out there for us to ignore. So here are several features and featurettes, and where you can find them. 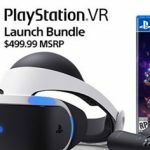 Just before the long-awaited The Force Awakens hit theaters, the good folks of the franchise offered up a companion to the movie in VR format. Labeled, “Jakku Spy,” the original adventure puts the viewer in the shoes of such a spy. It was originally located on the official Star Wars app, but is now available via the web. It works with Cardboard; but there’s also a version on the Disney Steam app, above, which works with HTC Vive. The adventure takes you into the interior of the Millennium Falcon in addition to several locations. It includes gorgeous footage of various topographies and technologies that inhabit the Star Wars galaxies. Available on youtube, Hunger Games, a six-minute feature has you traveling through forests and visiting various key moments in all of the movies in the series. 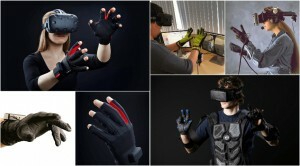 It combines animation with actual footage from the film, for a unique immersive experience. Waves of Grace was originally produced by the VR company Vrse, and is available on its website. It’s a serious, affecting feature about surviving the Ebola plague in Liberia. In one heart-wrenching moment, the viewer is placed on a hospital bed next to an afflicted infant. For a limited time, this feature by Sonar, which played at the Sundance Film Festival, is available for free at the GearVR Store. This is a high-impact sci-fi thriller, in which you watch a drone exploring the insides of an asteroid. The dark tone shows that the film’s makers are interested in the story, not just showing VR capabilities. Designed for Cardboard, Refugio 3D Space Station takes you to the planet Refugio. To be fair, Refugio has a lot of Earth-like architecture and plantlife. You won’t really feel like you’re having an outer-space adventure for much of the simulation, but it’s fun and a bit creepy. The pensive guitar soundtrack aids in the somewhat scary mood. Content is king, and many creators are bringing in accomplished directors and producers to provide serious cinematic experiences. Many VR films out there are more creative and adventurous in their content than many standard videos. This means that as you delve into the VR universe, you’re not stuck with banal demos.